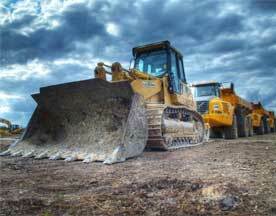 The U.S. heavy equipment distribution industry loses at least $2.4 billion each year as a result of dealers’ inability to find and retain technically skilled workers. While there are certainly differences between the heavy equipment and manufacturing industries, there are similarities between the natures of the skills gap affecting their workforces. These connections between the experiences provide a broader context for the challenges facing businesses due to the shortage of technical workers. The link between the issues faced by manufacturers and AED members, both in terms of the existence of the skills gap and looking at the issues created by the lack of technically skilled workers, is critical when looking at the role of the skills gap in the economy today.